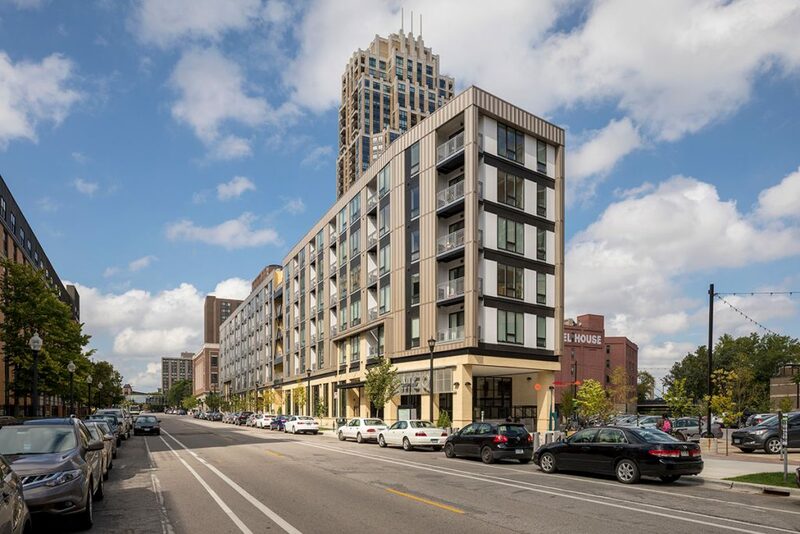 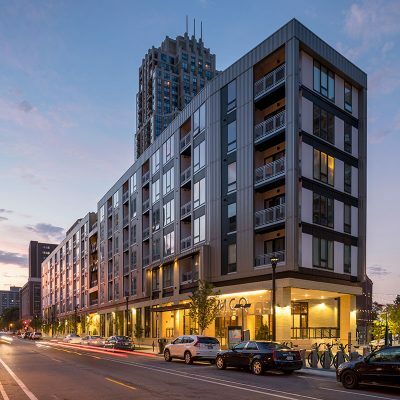 Mill City Quarter is the first phase of a 2-phase transit-oriented mixed-use development that transformed two large city-owned parking lots into two new residential buildings. 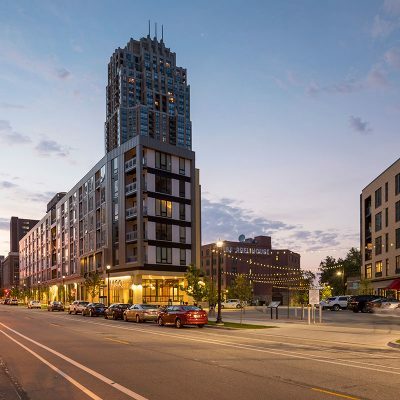 The two residential buildings are divided by a pedestrian friendly roadway – called a woonerf – that greatly enhances the connectivity from the Mill District neighborhood to the Mississippi River. 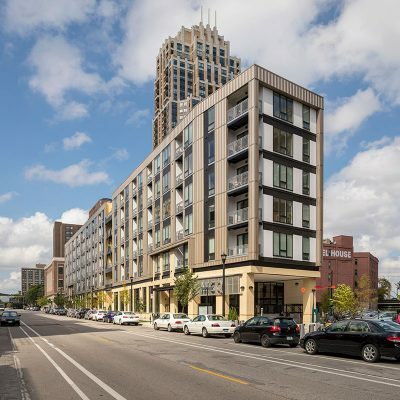 Mill City Quarter is a mixed-use affordable housing development consisting of 150 dwelling units including various 1 and 2-bedroom living environments, and 15,000 SF of commercial/retail space. 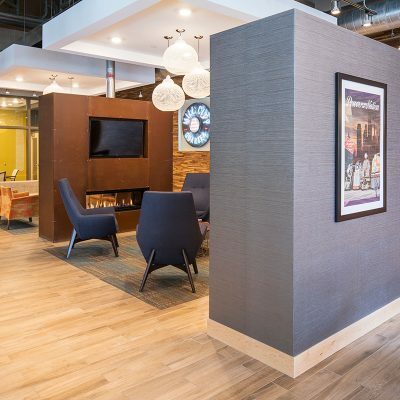 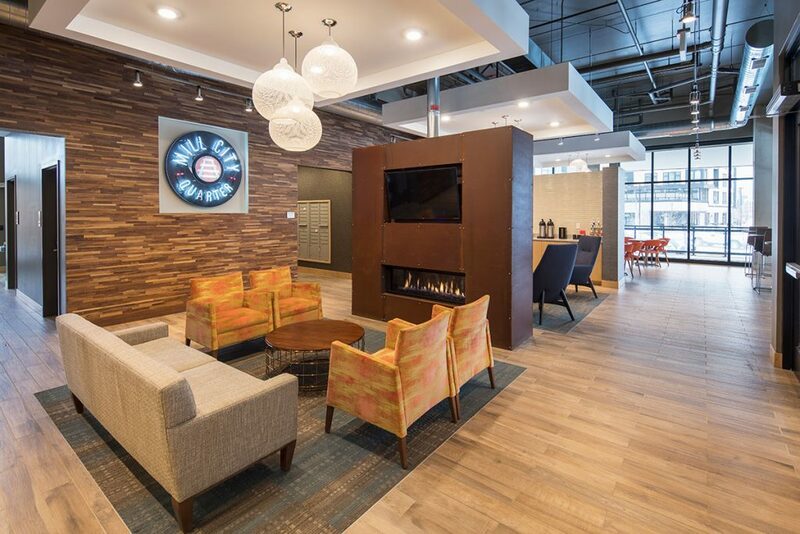 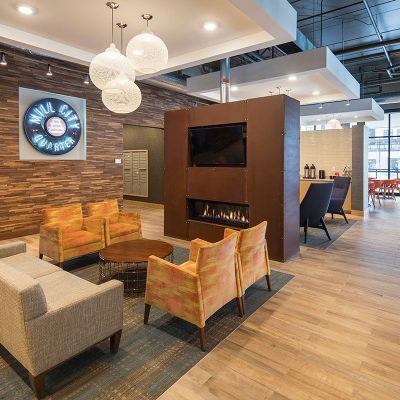 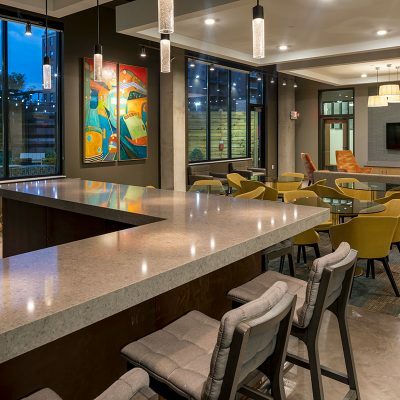 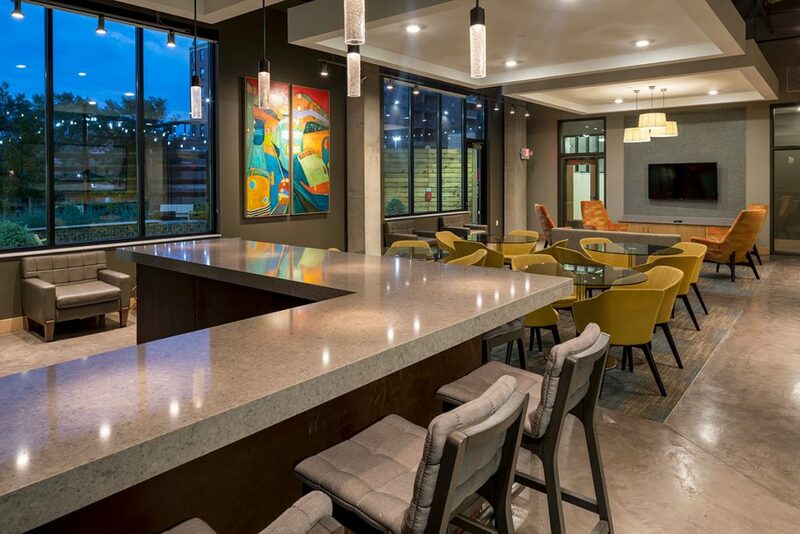 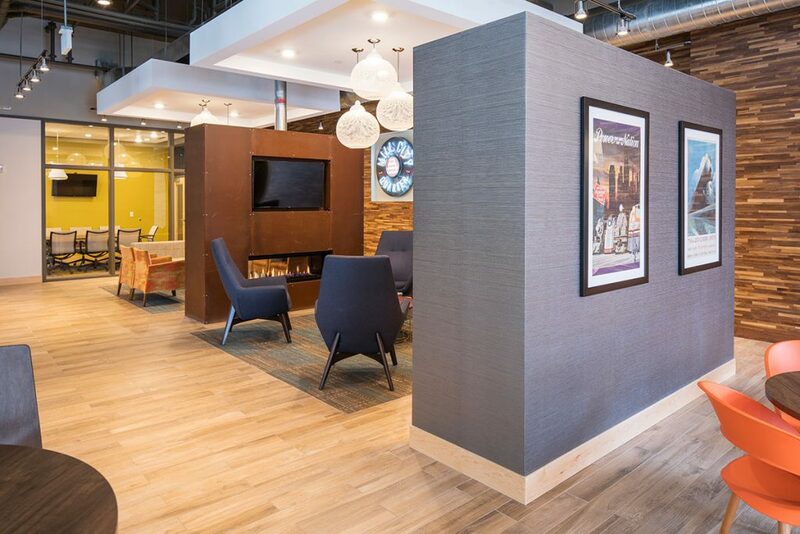 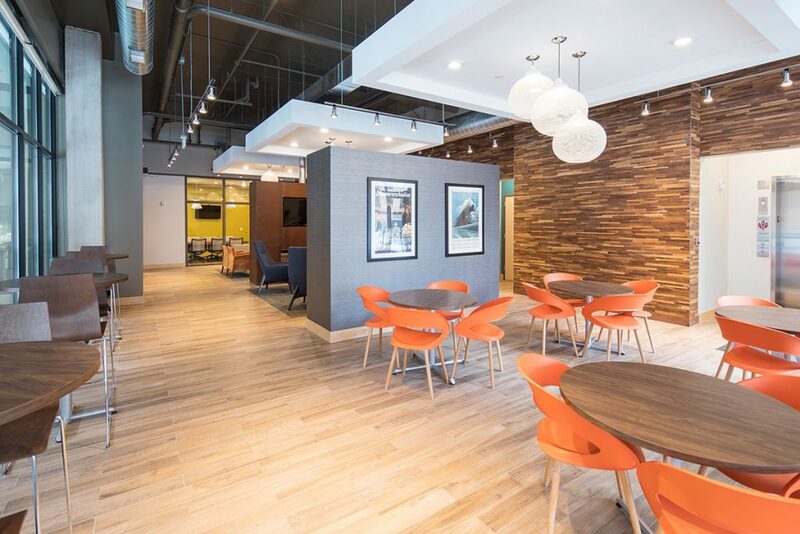 Amenities include a business center, clubroom, lounge, controlled entry, fitness center, laundry rooms, patio and grilling area, 231 below-grade parking spaces, bicycle storage, and the woonerf where bikes, cars, pedestrians and public spaces all co-exist, with reduced speed limit. 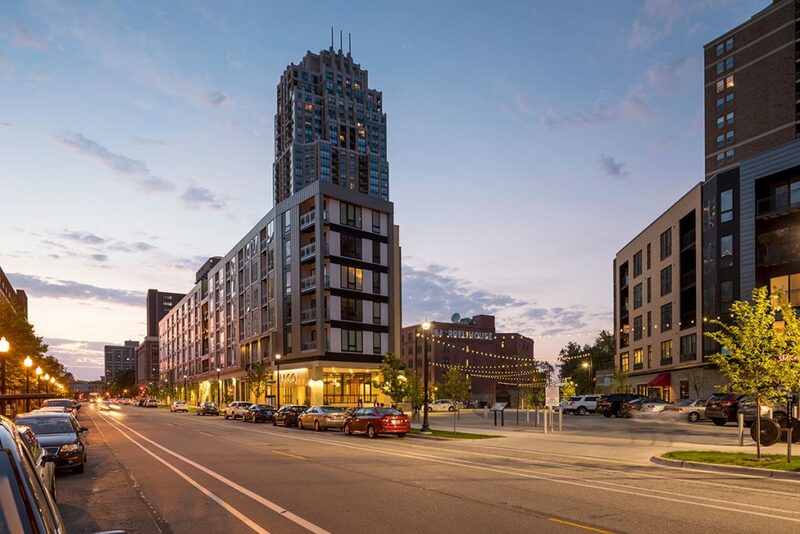 The large landscaped plaza east of the woonerf provides safe and inviting outdoor spaces for relaxing and socializing for residents and visitors of Mill City Quarter. 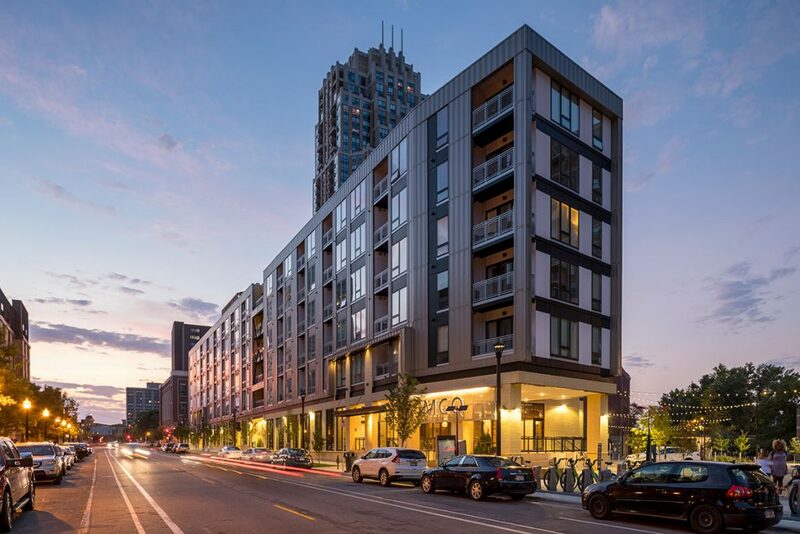 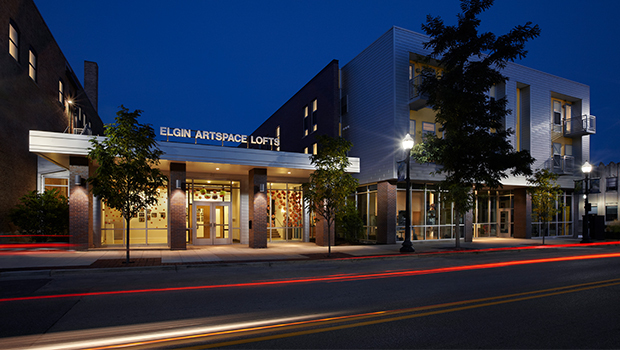 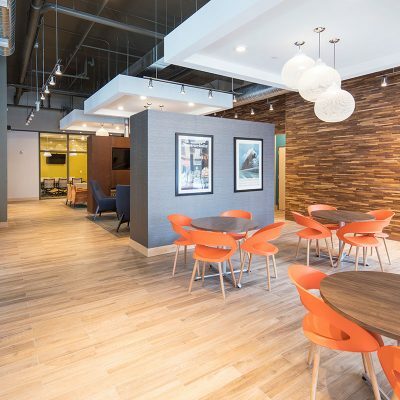 A special challenge of this project was creating a building aesthetic that celebrates and is sensitive to the unique and historic character of the Mill District using innovative materials. 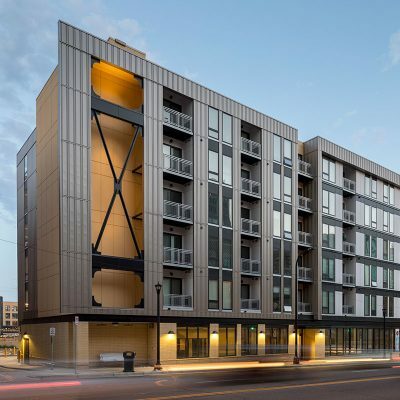 Strong influence was drawn from the adjacent metal clad and steel Milwaukee Road train shed with its rhythmic and repetitive structure, including the perforated, curved bracket details reflected in the curved forms of the round scheme. 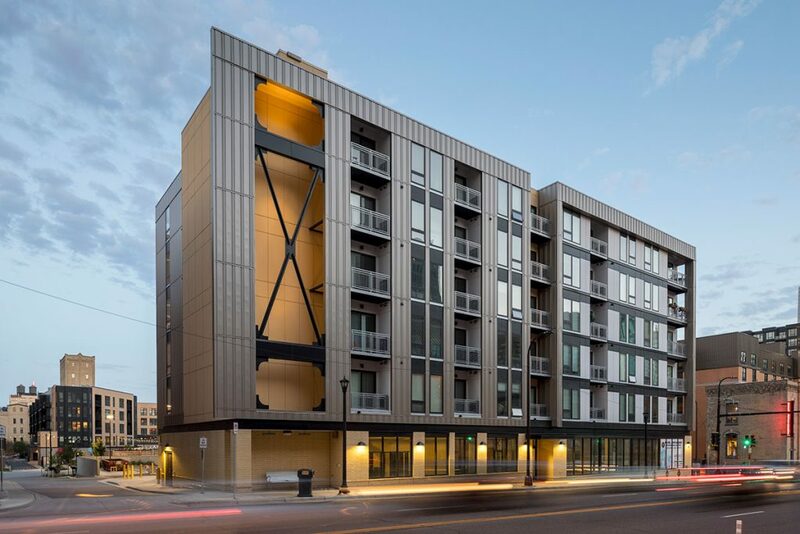 The building exterior includes metal panels, creatively detailed cement board panels, decorative metal grills, glass, and masonry.